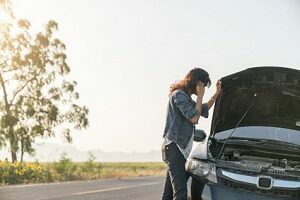 Car trouble can bring your whole day to a halt. Even if the problem is minor, it can be a massive inconvenience when it happens unexpectedly. Choosing the right towing company can be even more stressful. You need a towing service that will respond quickly, diagnose the problem, and treat you and your car with the utmost respect. Wellington Tow Truck is a highly respected local towing company operating all over Wellington Florida and the surrounding area. Along with our partners at WPB Towing Service, we are proud to offer comprehensive towing services and roadside assistance to any motorist in need. If you are having car trouble and you are desperate to get moving again, Wellington Tow Truck is a safe, affordable option. When you call us 561-257-3511, rest assured that you will be treated with the utmost respect and courtesy. We will listen to your problem and then immediately offer cost-effective solutions that can be implemented immediately. We work with you every step of the way to ensure that your car is back on the road in no time. Wellington Tow Truck offers a complete range of towing services to suit any situation. Our heavy duty towing service has the capability to handle the largest, most difficult towing jobs. We also offer medium duty towing and light duty towing service, ensuring that you get the right truck for the job. Our fleet of trucks and experienced operators ensures that your vehicle is always transported in the safest, most cost-effective manner possible. Wellington Tow Truck offers accident recovery service that is second to none. We understand the strong emotions that you can feel after a car crash, even if it is a minor one. We know that you need to feel reassured and taken care of. That is why we offer 24/7 emergency service, ensuring that you are never left without help. When you choose Wellington Tow Truck, you are choosing a company that cares about its customers and works tirelessly to get you back on the road as soon as possible. We have the intimate local know-how necessary to respond to any location within Wellington and the surrounding area, so no matter the time or the place, we can be there to help you. In addition to our towing services we also offer a comprehensive package of roadside assistance services. No matter what the situation is, we will respond. Maybe you have run out of gas and are stranded on the side of the road? Wellington Tow Truck offers a gas delivery service that will quickly help you be on your way again. Have you locked yourself out of your vehicle? 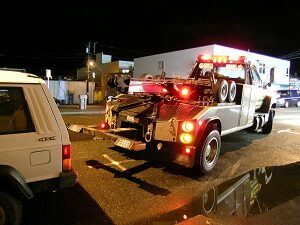 Wellington Tow Truck provides a lockout service that will assist you in regaining access. We also offer tire change service and jump start service, and are happy to assist with any other automotive problem you may have. Our services are available 24 hours a day, 7 days a week, 561-257-3511 and we accept all major credit cards, so you can pay and be on your way in no time. If you need a tow truck service that will be there quickly and has a customer-focused attitude, choose Wellington Tow Truck. Since the start of our company, the team at West Palm Beach Towing Service have been working hard to establish our brand within the lower Florida area. We are a locally owned company, and no matter if you are looking for quality towing services, great roadside assistance, or simply need a tire change, the team at West Palm Beach Towing Service has been delivering quality services ever since our inception.